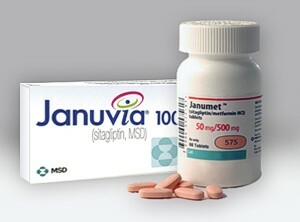 Reports of alleged Januvia side effects are prompting calls all over the country to Januvia lawyers, and this is a situation that is continuing to grow in scope as more people begin to wonder if their health problems are related to this diabetes medication. If these allegations of Januvia side effects are accurate, then it would mean that it’s possible for countless people to be harmed by it, as Januvia is currently one of the 15 highest-selling pharmaceutical medications in the United States. As such, the need for Januvia attorneys could be extreme as consumers fall ill.
As stated above, this is a medication that is massively prevalent. It was originally approved for use in the United States by the FDA in 2006, and it quickly rose to the top of the sales charts for Merck & Co. As of now, the medication generates more than $2 billion in sales every year, which means that people who are attempting to hold the manufacturer accountable for alleged harm done will need to make sure that they are represented by Januvia lawyers. That’s because Merck & Co. is likely to do whatever is possible to defend a medication that adds so much value to its balance sheet. One of the problems with these symptoms is that people may often have mistaken them for something minor and therefore they did not obtain the medical evaluation they needed until their problems had become extremely severe. Januvia lawyers around the United States have represented clients who had suffered severe and permanent damage as a result of using this medication. Januvia attorneys have also represented families who suddenly found themselves grieving the loss of a loved one who simply started using a new diabetes medication. These situations are only made worse when those consumers realized that they were dealing with a multi-billion-dollar corporation that was not going to make it easy for them to recover compensation. If you or someone you love faces this same situation, you should not contact the manufacturer before you first take some time to speak with Januvia lawyers who handle these cases regularly. Your initial consultation should be free of charge and it will be confidential, so you will not risk anything by making sure you have some knowledge before deciding how you are going to proceed. Parilman & Associates is a law firm with a team of Januvia attorneys who understand what it takes to stand up for the rights of those who have been wrongfully harmed. Contact the firm today to schedule a free initial consultation.